Not too long ago, the average number of books published in the English language was about 300,000 annually ( pre – 2009). Today, readers now have over two million new titles a year vying for their attention. Being an excellent writer is no longer enough to be successful in today’s publishing universe. 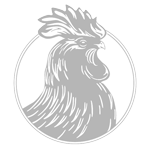 Chanticleer Book Reviews was founded to discover the best books and then help them to gain visibility in today’s highly competitive publishing market. We do this with REVIEWS that get RESULTS and writing competitions that discover the best works! 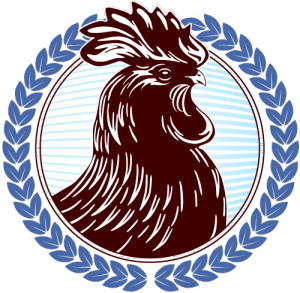 Chanticleer Reviews was founded in 2011 as a response to the growing need for a company invested in the success of authors, whether they were independently or traditionally published. Today’s authors are independent entrepreneurs–even if they are represented by a publisher–and it is crucial they become proactive in their own success. Chanticleer offers an array of services and tools to authors, which can help authors achieve their publishing goals. Kathryn (Kiffer) Brown is CEO and co-founder of Chanticleer Reviews and Chanticleer Int’l Book Awards (The CIBAs) that Discover Today’s Best Books. She is also the co-producer of On Word Talks with Storytellers video blog and podcast that feature storytellers, storymakers & gamers, film producers, and other creatives. She founded Chanticleer Reviews in 2011 to help authors to unlock the secrets of successful publishing and to enhance book discoverability. The enlightening and educational Chanticleer blog posts tackle branding, book covers, distribution, audiobook production, book promotion, SEO & meta-data, engaging readers and building a fanbase, editing processes, book production, the ever-important publishing checklists, and much more. Chanticleer reviews audiobooks, digital books, and print books along with interactive books and then promotes the reviews digitally, in print, in social media, and with direct customized emails. Kathryn has presented at Writer’s Digest NYC, RWA Nat’l, PNWA, ECWC, Pubsense, Left Coast Crime Scene, Historical Novel Society conferences, Bublish Webinars, BEA UpubU, Alli, and others including the annual Chanticleer Authors Conference. She has served as a volunteer, committee chair, president, and board member for numerous non-profits including the Junior League, was president of Whatcom Writers and Publishers for numerous years, and is the founder of the Upstart Crows Writers Asssoc., and was a board member of Western Washington University’s Publishing Program and works with the WWU and Evergreen U Internship programs. 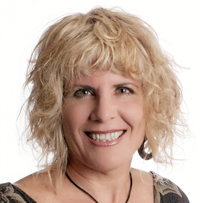 Kiffer Brown works with authors across the globe by using her marketing and PR talents to help them broaden their audiences and assisting publishers on how to increase sales by thinking of new ways to use their branding to expand market-share. Member and Affiliate of Alliance of Independent Authors, IBPA, Where Writers Win, Sisters In Crime, RWA, PNWA, Historic Writers of America, Historical Novel Society, Western Writers of America, PNWA, and others. Kiffer has presented at Writer’s Digest NYC, RWA Nat’l, PNWA, ECWC, Pubsense, Left Coast Crime Scene, Historical Novel Society conferences, Indie Polooza Houston, Bublish Webinars, BEA UpubU, and others including the annual Chanticleer Authors Conference. She has served as a volunteer, committee chair, president, and board member for numerous non-profits including the Junior League, and she is a board member of Western Washington University’s Publishing Program. Chief Technical Officer and business development. 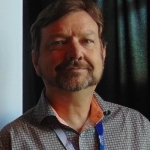 Andy “Argus” Brown, a lead developer and project director of computers and embedded systems with Fortune 500 companies, is at the helm leading the company with the latest in technology and best management practices. He brings his business acumen and decades of experience with startup companies, venture capital firms, IPOs, and Blue Chip industries to Chanticleer Book Reviews—the perfect balance to Kiffer’s creative energy, propelling their innovative publishing company with best business practices and newest technologies. 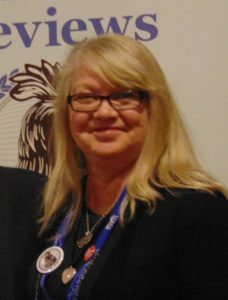 Our Chief Review Editor is award-winning author, Sharon E. Anderson. Creating and editing content as well as editing/writing reviews, and outreach are just a few skills she brings to the table. Sharon served on the board of the Skagit Valley Writers league for a number of years and delights when authors see success in their work. An SPU graduate in Clothing Textiles & Design, she utilizes design principles in every aspect of her job. Sharon believes in authors, works to promote authors, and champions good books. The CBR editorial team members are impartial editors, selected for their expertise in related genres and are known for their unbiased, objective, and knowledgeable reviews. All of our editors are based in the U.S. or Canada. They consistently maintain open-mindedness to today’s emergent ideas, talent, and creativity in the field of literature, media and publishing while holding to the time-honored traditions readers have come to appreciate and expect. Many of our editors, reviewers, and slush readers are not listed here. They are skilled and hardworking individuals and a vital part of our business. We are proud to support these professionals and contribute to their livelihood. Our senior editors head up our Chanticleer editorial services. They have worked for large publishing houses and best selling authors, bringing a vast wealth of skill and experience to our team. S.J. Stanton – 35 years as a writer, reviewer, editor, proofreader, indexer, and translator and specialist for International agencies. APA Style, MLA Style, Chicago Style, Oxford Guide, and AP Stylebook. 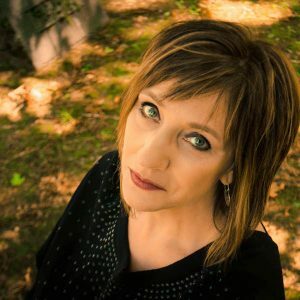 K. Hess – Senior editor consultant for top publishers and best-selling authors specializing in Line Editing, Developmental Editing, and series development. Ginny H. – Senior Copy Editor with more than 20 years of experience with top traditional publishers. Considered one of the top copy editors in the U.S. Experienced in Chicago Manual of Style, MLA Handbook, APA Style, and Oxford Guide.